Wow, six seasons already! Well, more, actually, considering Bones is getting ready to head into its seventh season in November. Time surely flies. 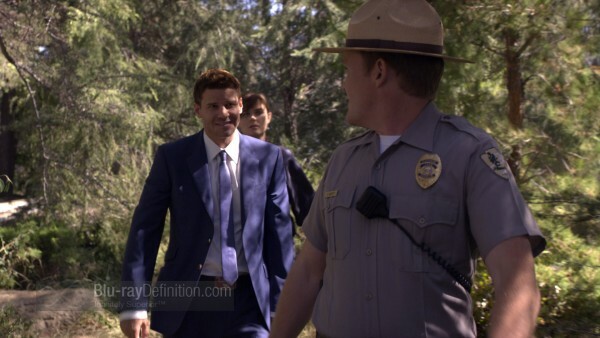 I recall watching the beginning of this series tentatively and wondering of David Boreanaz could ver really shake of his Angel persona and become a believable FBI agent. The series had a bumpy start, in my opinion, I wasn’t sure if it really stood out as a crime procedural, but I was proven wrong. Over the years it evolved into an interesting and often gruesome investigative crime drama with a group of quirky characters that all worked together as one big happy family. And therein is the hook – not so much the one big happy family, but the gruesomeness. 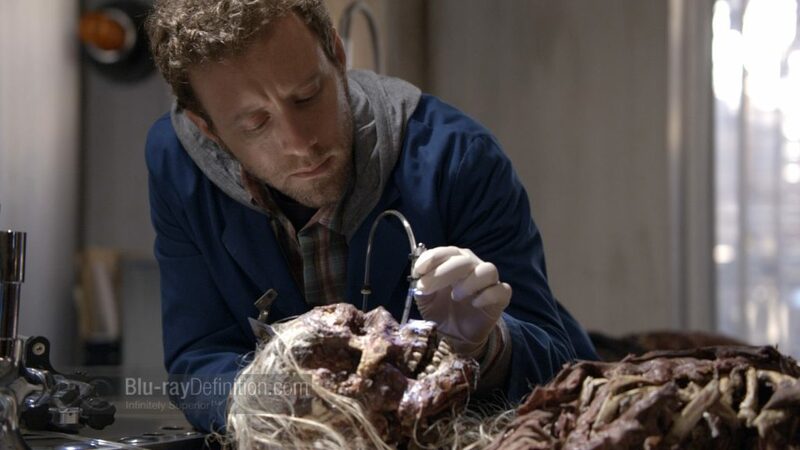 You can always tune into Bones and be sure to see more gross skeletal remains and melting flesh than a horror film marathon on Halloween. 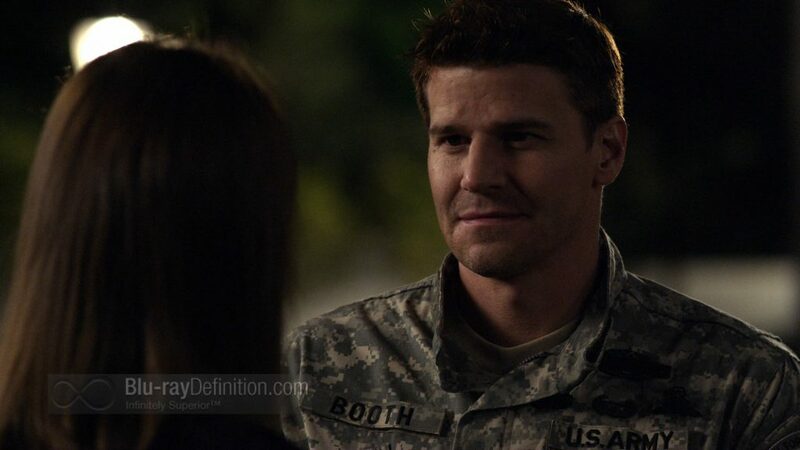 Season 6 begins with the gang reassembling after all going their separate ways at the end of the last season, Dr. Brennan (Emily Deschanel) and Seeley Booth (Boreanaz) still unable to admit their affections for one another on a personal level. 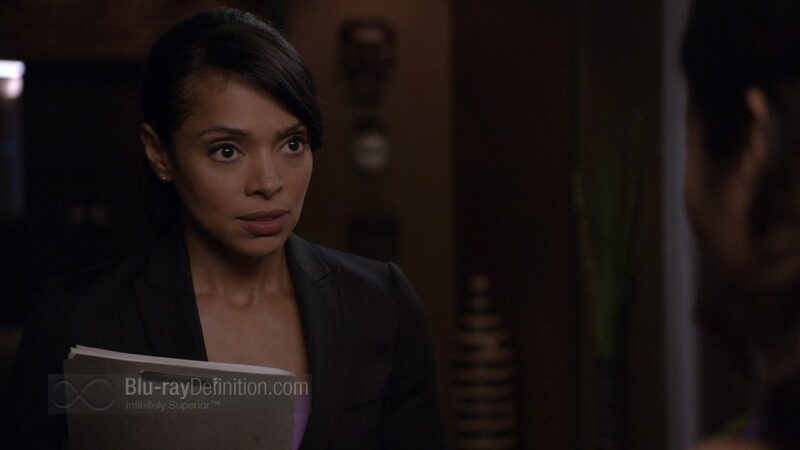 The team is brought back together to help save Dr. Saroyan (Tamara Taylor) from losing her job and find the killer of a missing girl. 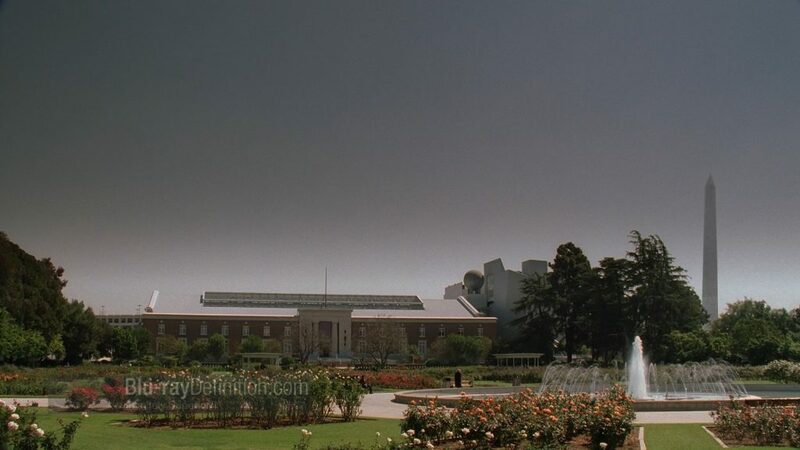 As the season progresses, the team at the Jeffersonian and Agent Booth will come across other obstacles, such as the reemergence of the infamous killer, the Grave Digger, and Booth’s nemesis, Jacob Broadsky (Arnold Vosloo), his old mentor now a vigilante sniper killer that Booth must hunt down, or possibly die trying to catch. 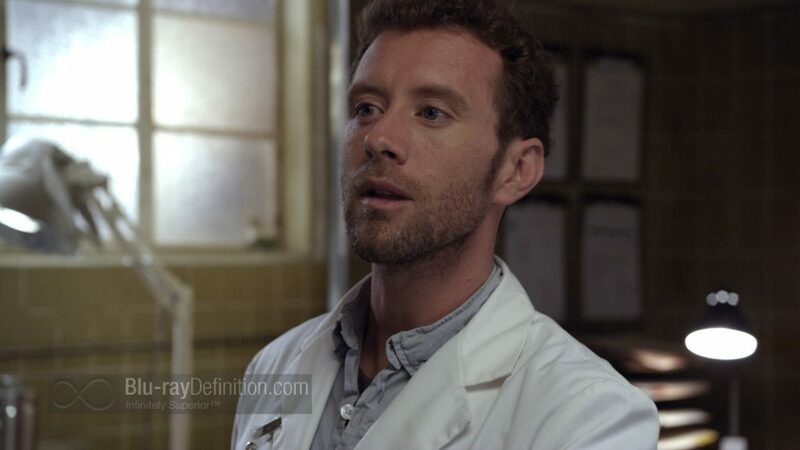 Even six years in, Bones continues to stay interesting, mixing things up a bit with a little comedic relief through Dr. Brennan’s revolving cast of interns, the will they/won’t they relationship between Booth and Dr. Brennan, that got wrench thrown in it in season six with the introduction of Hannah (Katheryn Winnick), and of course, the never ending list of oddball cases that the team must solve. There’s never anything totally surprising here, but it’s still quite good. Season 6 continues the native high definition production that started with season 5’s switch over from Super-35 mm film. There is still the use of some film in the cut scenes that show the scenery of D.C., but it is limited to that. As a result, the image in the AVC/MPEG-4 1080p/24 encodement looks a bit flatter at times and less textured than the earlier seasons, but it is also somewhat cleaner, especially in the day lit scenes. Some darker scenes show heavier amounts of video noise, however, that looks much harsher and a lot less film-like than some of the better, more expensive high definition productions that I’ve seen. Still, Bones has good flesh tones and rather deep black levels, but I did spot some sporadic aliasing. Bones has always had a rather straightforward audio mix and Season 6 is no exception. While the lossless DTS-HD Master Audio 5.1 soundtrack has a relatively wide, but certainly not extreme, dynamic range and decent atmospherics in the surround channels, the mix remains front-heavy. 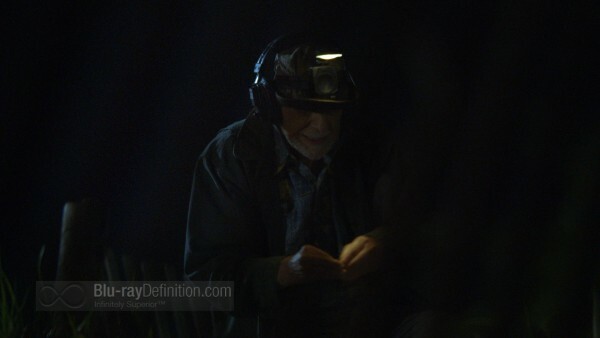 There are a couple of moments where it opens up a bit, like an explosion or when the Grave Digger is shot, but other than that, it remains pretty even keeled. There are two audio commentaries and a couple of self-explanatory featurettes with behind-the-scenes footage and interviews with the cast and crew, additionally, they’ve included the pilot episode for the rather moody crime drama from AMC, The Killing, itself based on a Danish crime drama. I’ve not watched either the Danish original or this U.S. Version of the series, but based on the pilot alone, I’d say the show has a lot of potential. I look forward to seeing the rest of it on Blu-ray. 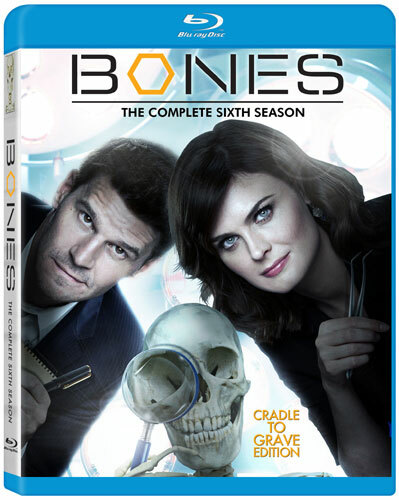 Bones arrives in a solid Blu-ray set from Fox and season 6 continues to keep things interesting, setting the series apart just enough from the rest of the numerous crime procedurals on television to keep fans watching. 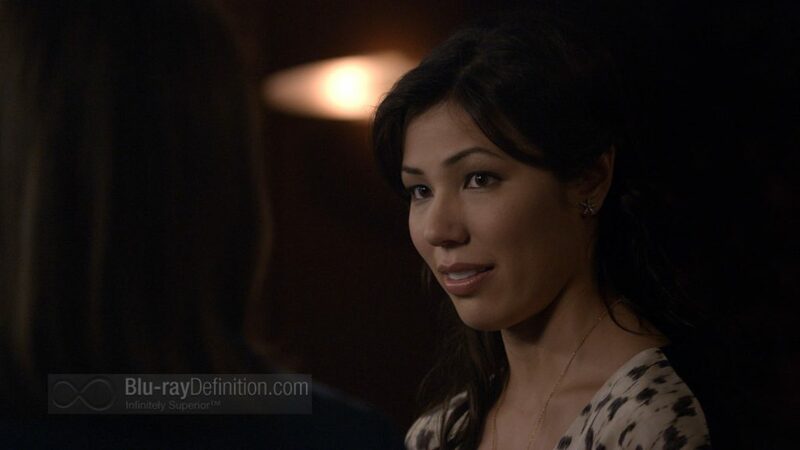 The season sets the series up nicely for its seventh season, which arrives shortly on Fox, so fans should grab this up and refresh their memories before the new fall start.